What’s better than a summer get-together around the grill? In my opinion, there is absolutely nothing more enjoyable. It’s so relaxing and fun to cook great food with some of your closest friends and it’s also fun to impress them with creative and delicious food- hot off the grill! So whether it’s to win over your summer fling or to plan the social gathering of the season, these tips are sure to help you plan your own perfect backyard BBQ. Whip up these bite-sized treats that are just as easy to prepare as they are to eat, and you will most definitely be the talk of the town! 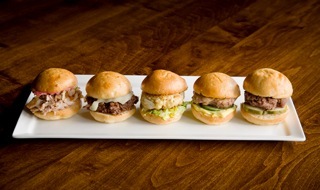 Throw a variety of sliders on the grill. Almost any kind of meat or veggie can be grilled and thrown on a small hamburger bun. Beef, barbecue pork, crab, tuna, black beans, and steak are just some of your many options! These easy treats are a perfect hand-held entrée; your guests can try a variety of different ones or snack while socializing. Cook up some colorful veggies. For something a little more nutritious and filling, try spicing up a few veggies and throwing them on the grill! 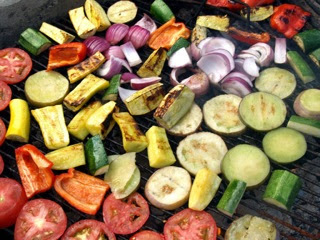 Corn, peppers, cucumbers, summer squash, tomatoes and onions all taste great with a charcoal twist. The fun summer colors will spice up your spread and make guests feel healthy and good about what they are eating. Experiment with non-traditional cuisine. Don’t be afraid to step outside the box! Hamburgers and hot dogs are great summer classics, but switching it up can be fun as well. 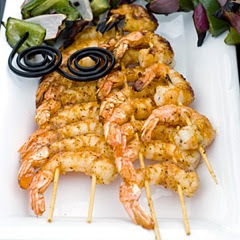 Try grilling small pieces of fish, scallops or shrimp for a Hawaiian feel or throw on some thick noodles on for an Asian-inspired meal. Make everything a kabob. For some reason, food is appealing and delicious after it’s cooked on a wooden stick. Not only is the food easy to distribute, it’s a convenient and fun way for your guests to enjoy their meal while talking to other guests. Combine pieces of meat, veggies or fruit so your guests get a little taste of everything. 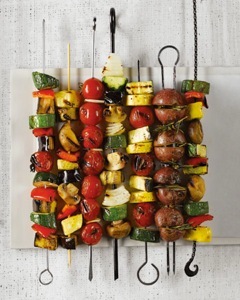 Impress everyone with your summer décor by arranging the kabobs on a colorful platter. Add fun appetizers and side dishes. Guests can have a serious case of the munchies before the entrées are ready. 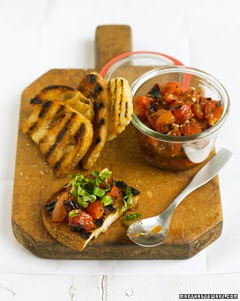 In order to keep starvation at bay, serve menu items like char-grilled chips and salsa, bruschetta (with baguette pieces straight off the grill), flatbread pizza, or bite-sized chicken wings.